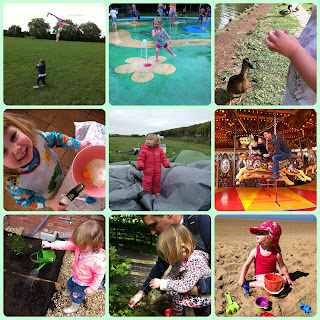 So Little Miss A has just turned 3 so it's time to see how we've got on with her 'Things To Do Now I Am 2' list as we've run out of time. I haven't actually done any update posts on our progress during the year, but I'm pretty chuffed that we've managed to do 16 out of 19. A pretty good achievement I think! 1. Fly a kite - we took our kite to our local park and had great fun flying it. 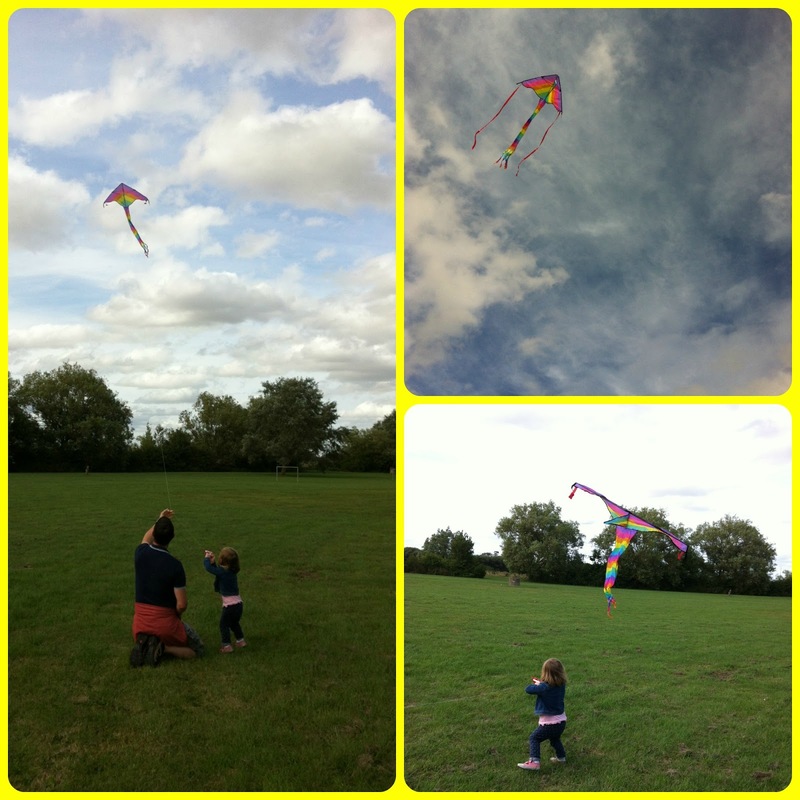 After a while, Little Miss A wandered off to play in the playground but Mr MoaB continued flying the kite for ages! We only managed to do this once, so we must have another go again soon when the weather conditions are right! 2. 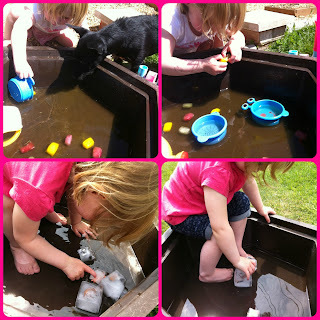 Ice sensory play - this activity was pretty well received by Little Miss A. I did coloured ice cubes and also froze some plastic animals into ice blocks. You can read more about our Water Play with Ice activities. 4. 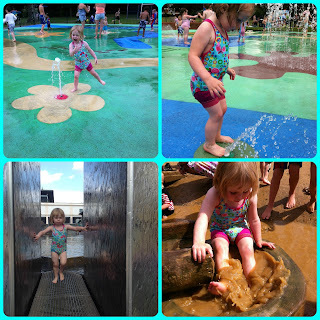 Splash park / swim outdoors - one of my favourite days out from last year was taking Little Miss A to the Splash Park in Leighton Buzzard. 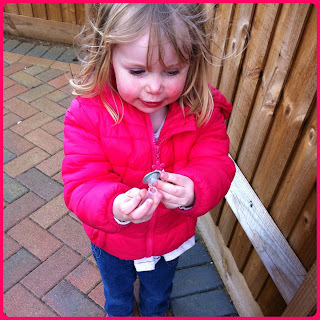 She had such fun running around and getting very very wet! 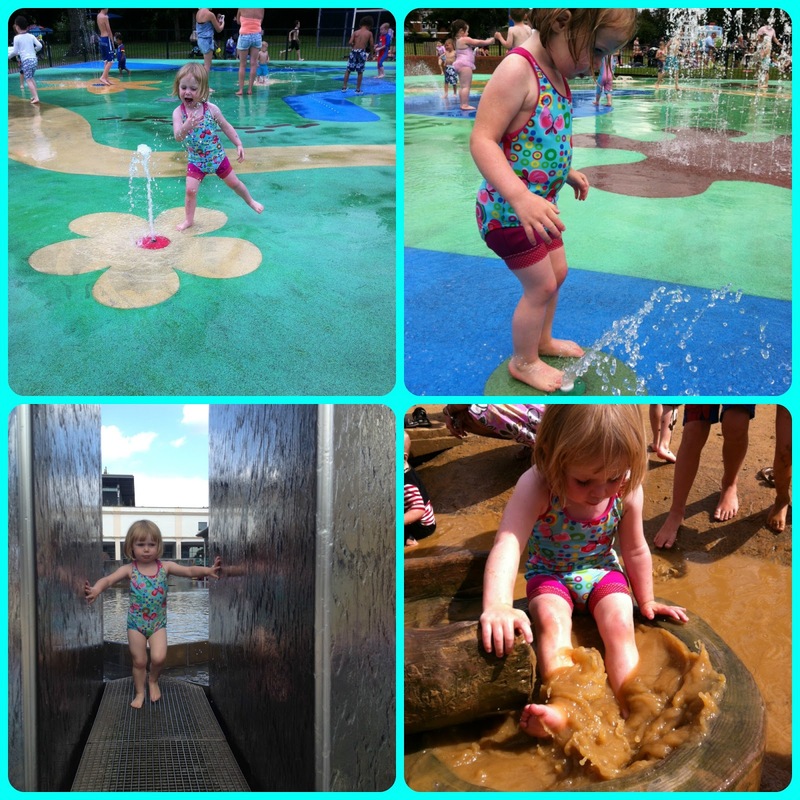 This Splash Park is definitely on our list to re-visit again this summer. 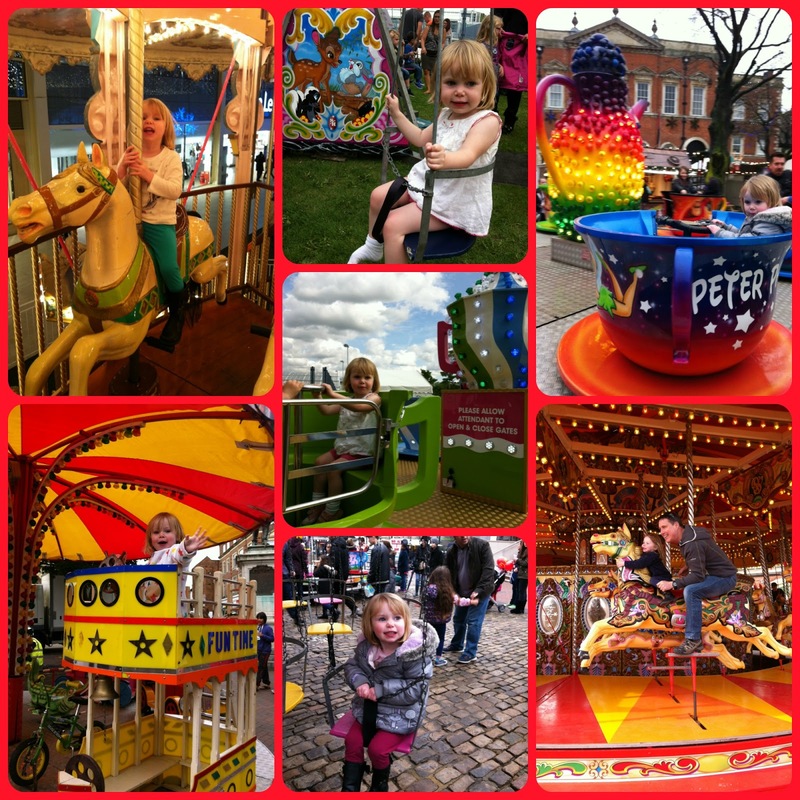 She also had fun playing in water features at Stanwick Lakes in Northamptonshire and in Millennium Square in Bristol. 5. Feed the ducks - we've done this on a few occasions now at various places. 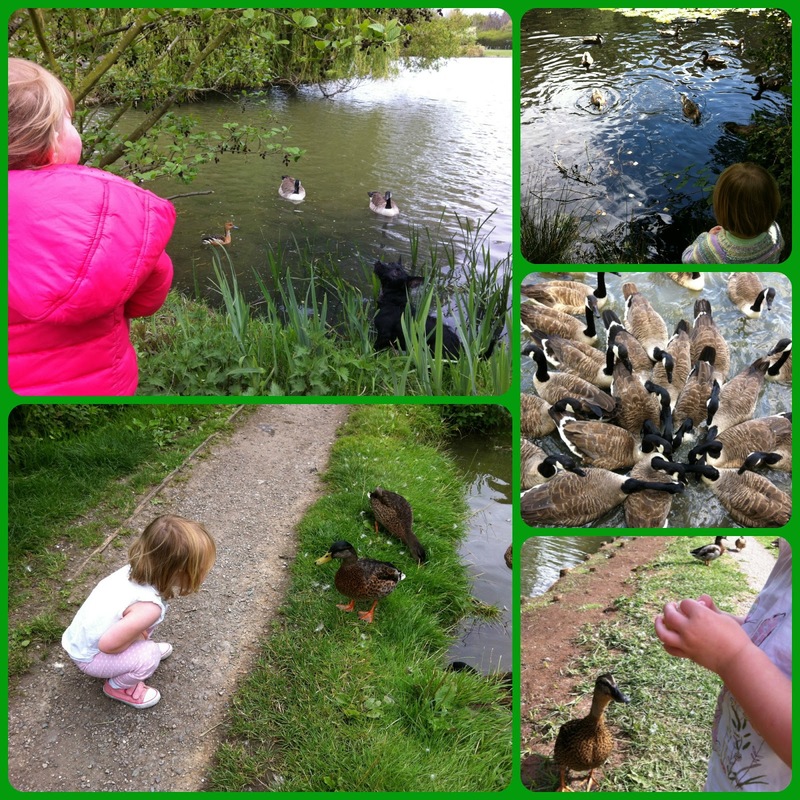 It does now mean that if Little Miss A sees some ducks she wants to feed them and I'm not always prepared with food so she's often disappointed! 6. Bake a cake - we've made a few batches of fairy cakes together. 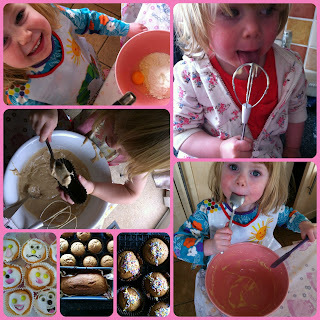 Our efforts don't always look the best but Little Miss A loves the mixing and eating, and of course she enjoys the licking of the mixing bowl! 7. 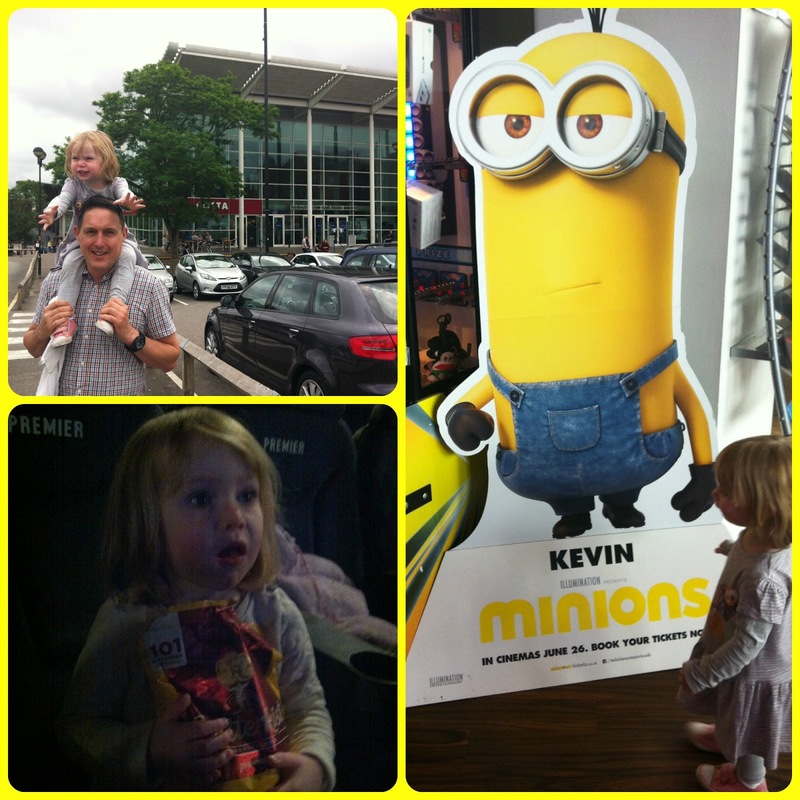 Go to the cinema or theatre - Little Miss A's first cinema experience was to see the Minions Movie. I was shocked by how much it cost us to go as a family. 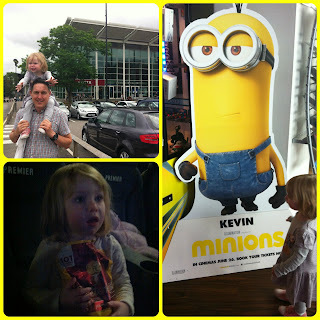 I've since taken her to the cinema a couple of other times but always to their cheap Kids Club showings! She doesn't mind that the film is not a new release! 10. 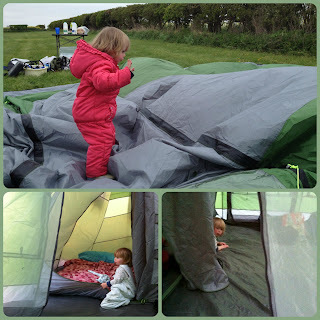 Go camping - we actually managed to go camping twice last year. 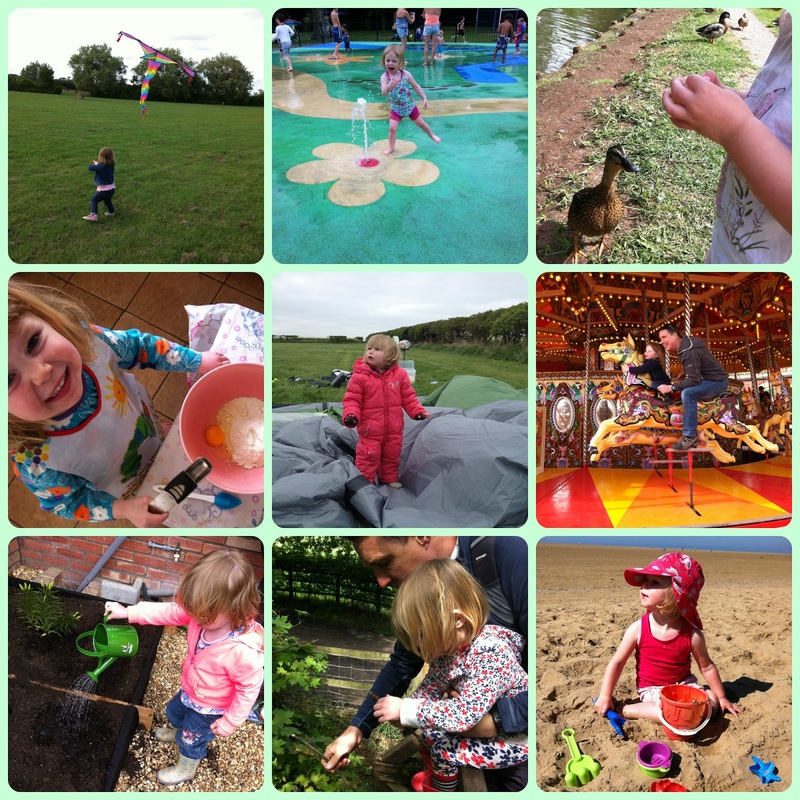 We went Camping at Town Farm in April last year and then in late September we went Camping at Swiss Farm Cottage, near Henley. 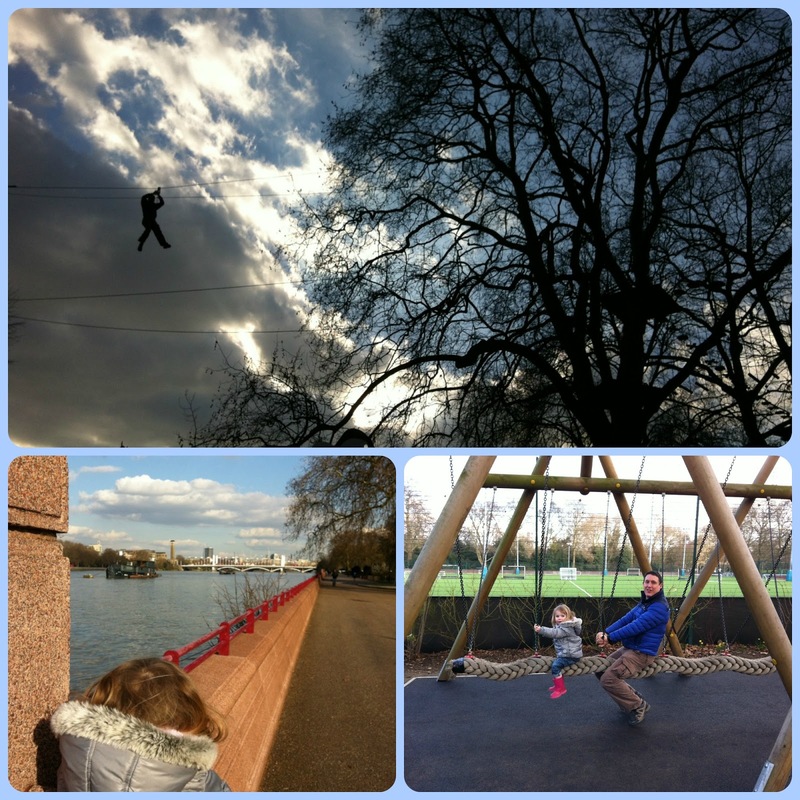 Going so early and late in the year, meant that the nights were very very cold but we survived! 11. 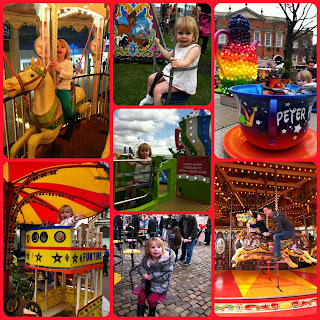 Go on a fairground ride - Little Miss A has now been on a few different fairground rides including carousels, teacups and swings. She seems to love them all! 12. Attend a Christmas carol concert - a couple of weeks before Christmas I took Little Miss A to a family service at a local Church where she got to hear lots of Christmas Carols. 13. Day trip to London - I think when I put this on the list, I was imagining a train ride into central London but instead we found ourselves driving into London and had a Family Day Out in Battersea Park. 14. 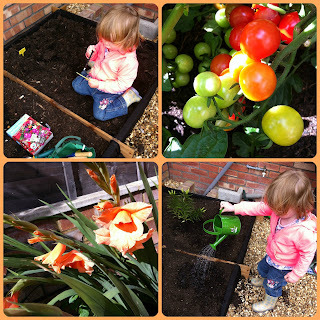 Grow some flowers from seeds and 15. Plant some vegetables - last year we got some raised flower beds and set about planting vegetables in one side and flower seeds in the other. It was a learning curve for all of us - I usually just pop a few plants or bulbs in planters, not really grow anything from scratch. It was very hit and miss what grew and what didn't but it was fun. 16. 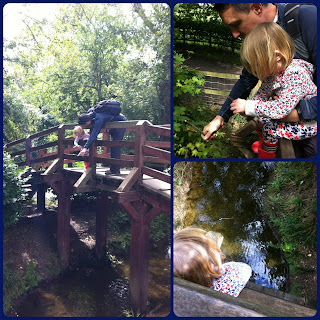 Play Pooh sticks on a bridge - we actually managed to do this in a perfect location, on a bridge in the 100 Aker Wook at Aldenham Country Park. 17. 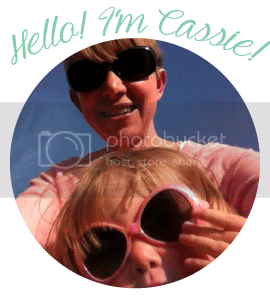 Build a sandcastle - Little Miss A is becoming pretty good at constructing sandcastles now. 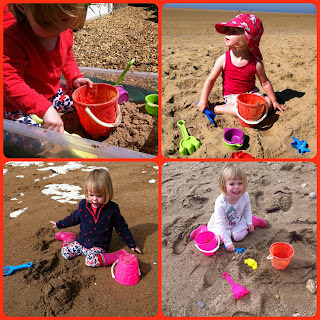 She's had lots of practice in our little sandpit in the garden and then on beaches that we've visited throughout the year. 18. Create some wild art - on a walk last year we collected lots of twigs and leaves and then used them like paintbrushes and stamps to create some art. 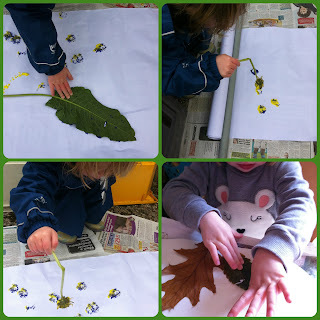 We also collected a load of leaves during Autumn and made a picture with these. 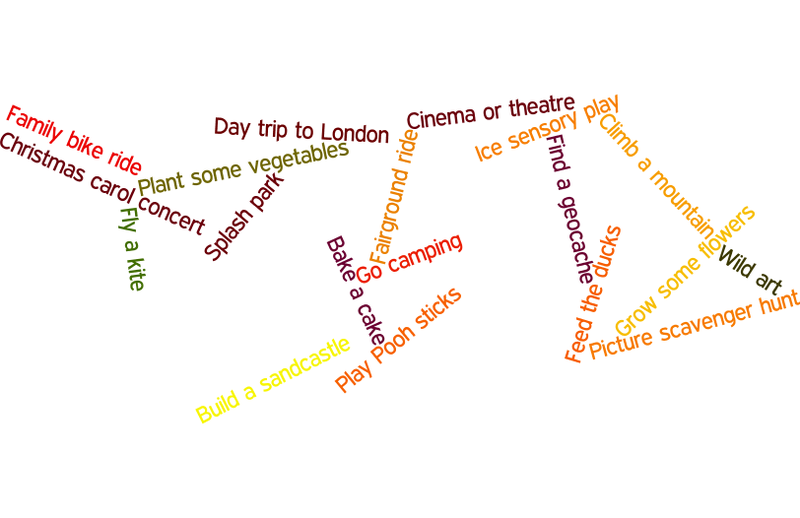 This is something that I'd definitely like to do more of. 19. Find a geocache - we just managed to complete this one before time ran out! After a bit of research, I found that there was a geocache just round the corner from us. It took us two attempts to find it but now every time we pass the fence, Little Miss A comments about finding the object. I still need to understand a bit more about this but hope that we'll find lots more geocaches in the future.